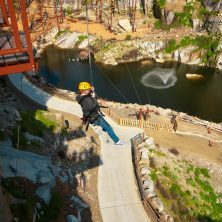 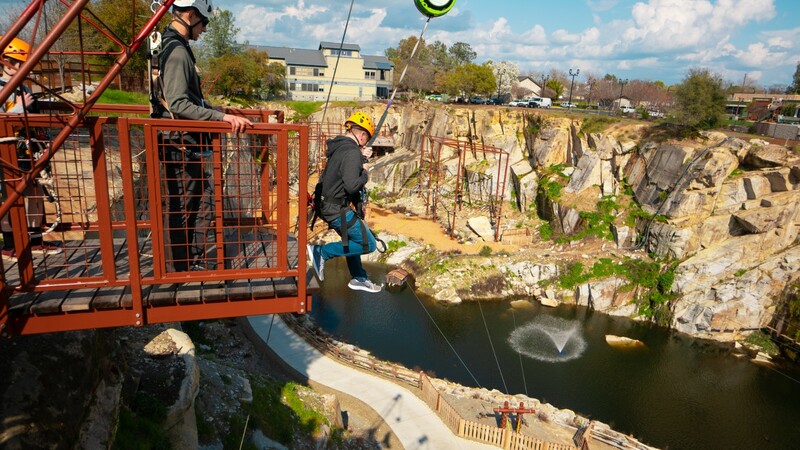 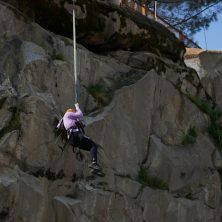 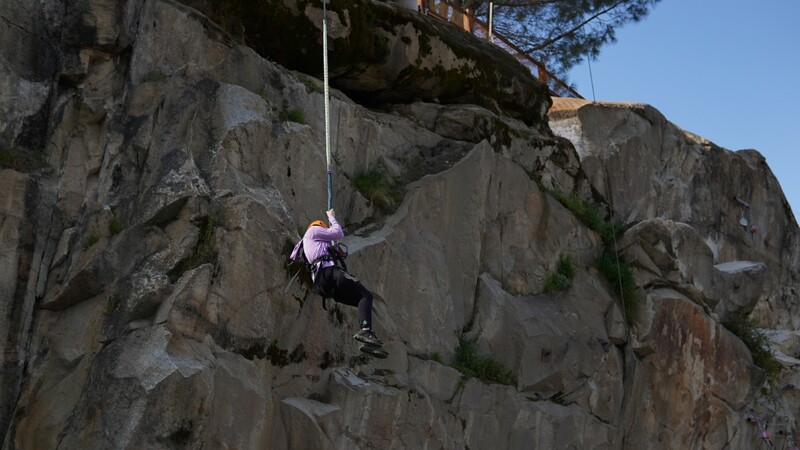 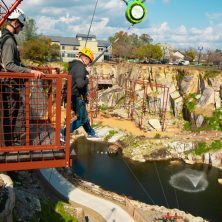 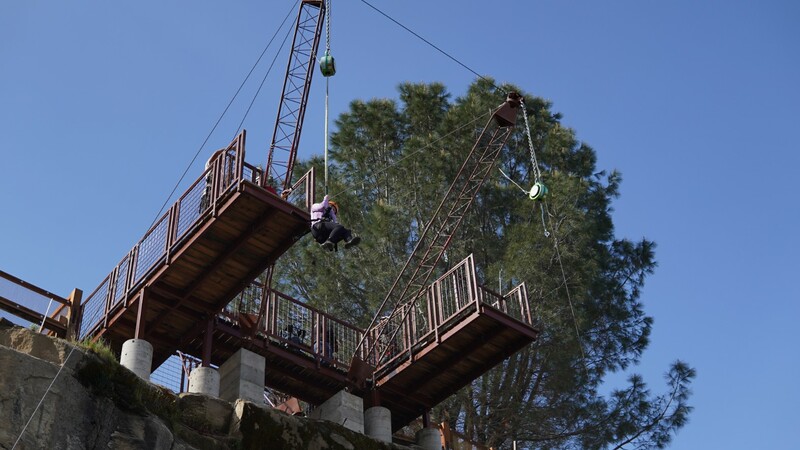 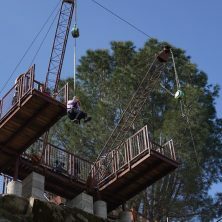 Take a leap of faith as you jump from the Quarry’s rim on the Cliff Hanger Free Fall. 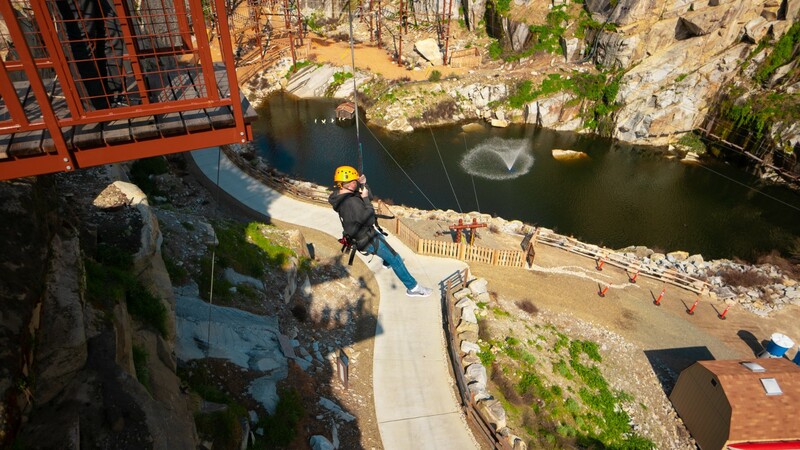 After experiencing an initial “butterflies in your stomach, free-falling sensation,” our state-of-the-art safety equipment creates gentle resistance and lowers brave adventurers to the platform located 40-feet below. 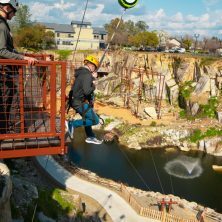 Though a truly heart-pounding experience, we’re sure you’ll love it — and the challenge of stepping up to (and jumping off!) 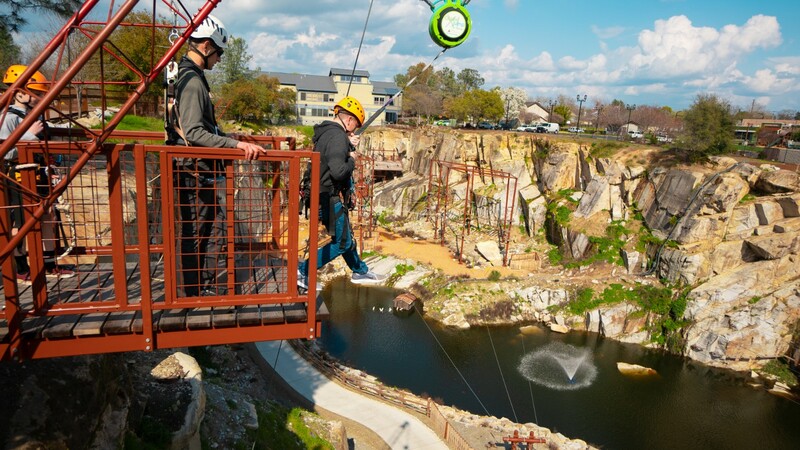 the cliff is one you won’t soon forget.